When NASA launches its Atlas V rocket on Friday, there will be two special pieces of cargo aboard. One of these is Juno, a space probe that will be dedicated to the study of the planet Jupiter. The other is Juno, a Lego minifig who is one of three Lego figures who’ll be taking a trip to space. 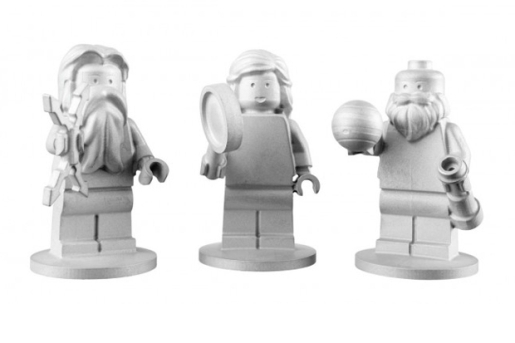 Lego is blasting three minifigs, Jupiter, Juno, and Galileo, to Jupiter. They’re the first Lego minifigs to head to space! The minifigs are pretty epic, too. They were custom designed and made by Lego, and the company is footing the bill to send the figures into orbit to the tune of $5000. Jupiter comes with his lightning bolt; Juno comes with a magnifying glass (to stand for her search for truth); Galileo is pictured with a model of Jupiter and a telescope. You can chart the progress of the Lego minifigs by heading over to LegoSpace.com and following along. However, don’t expect them to reach Jupiter right away. The Atlas V rocket’s payload isn’t expected to begin orbiting until July 2016, so there’s a bit of a wait.